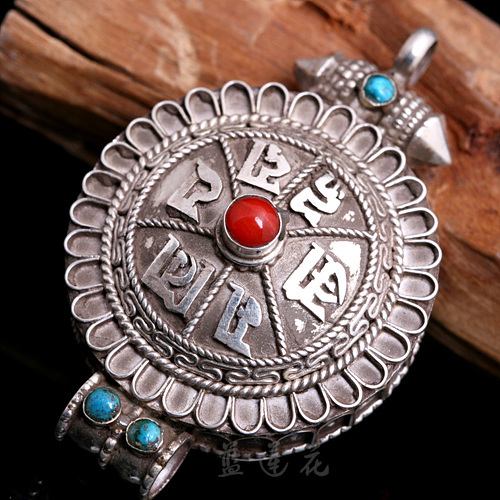 Tibetan Handmade Prayer Box Pendant OM Mani Padme Hum Gau Box Pendant. 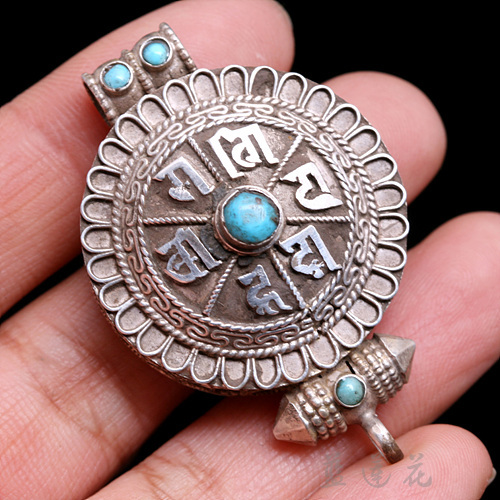 This om gau box pendant was handmade in Nepal from sterling silver, and turquoise beads. 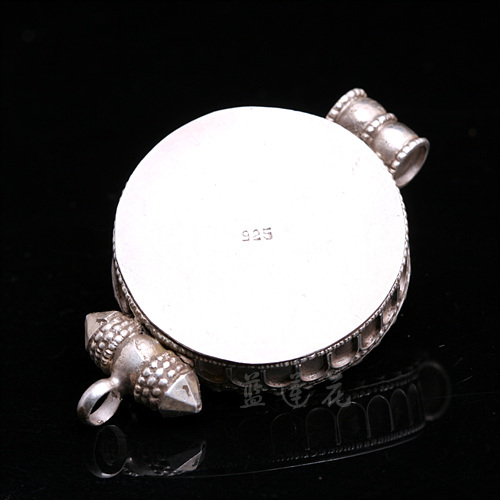 Size: 49*31*17mm, box inner size: 30*30*10mm. 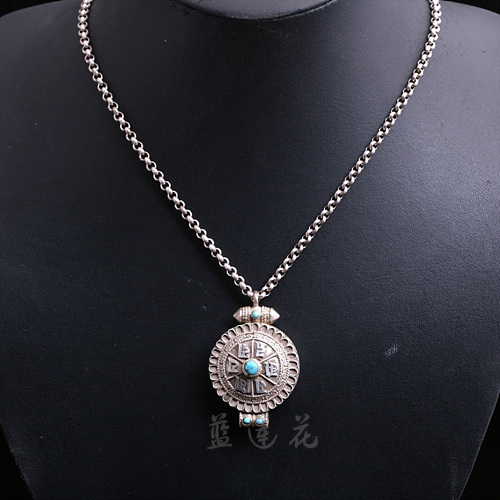 Weight: 14g. One of the most stunning pieces of Tibetan jewelry is the famed Ghau pendant. 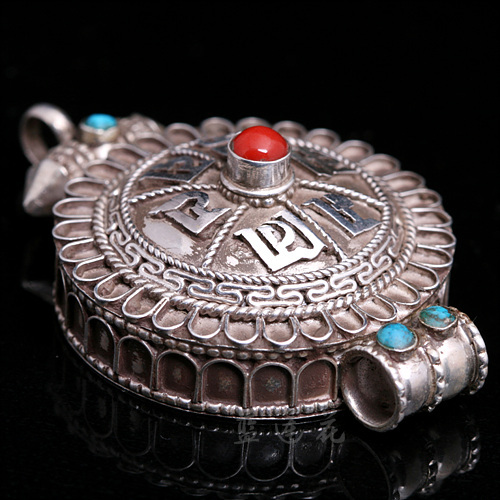 Also called a prayer box pendant, this jewellery piece often features rare and unusual gemstones and incredible carved silverworks. In Buddhism, the Ghau is actually a portable shrine that holds an image wrapped in silk that represents the owner's personal deity. Some Ghaus have a small opening allow you to see the personality deity. 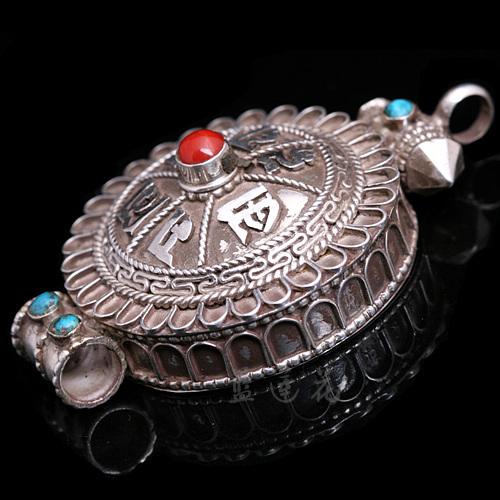 People of other faiths use the Ghau as a prayer box. Wearers write their prayer concerns on a slip of paper and place it in the box. 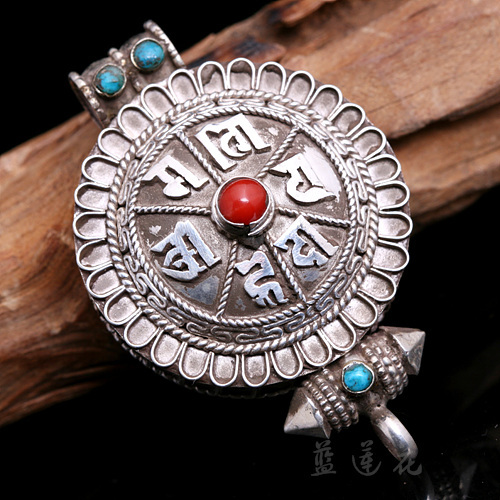 Ghau pendants often includes gemstone inlays. 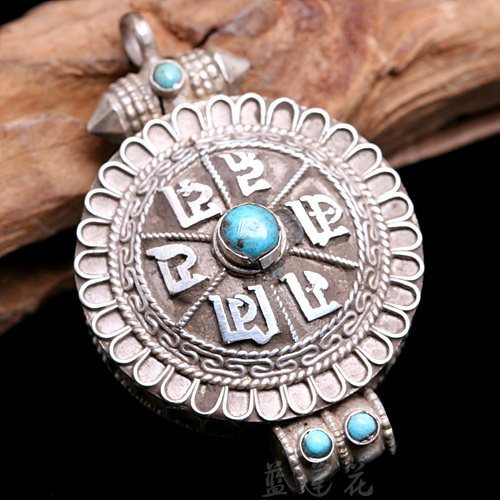 Artisans often use shells, like stunning abalone or mother of pearl, as well as turquoise, lapis lazuli and coral in intricate inlay designs. 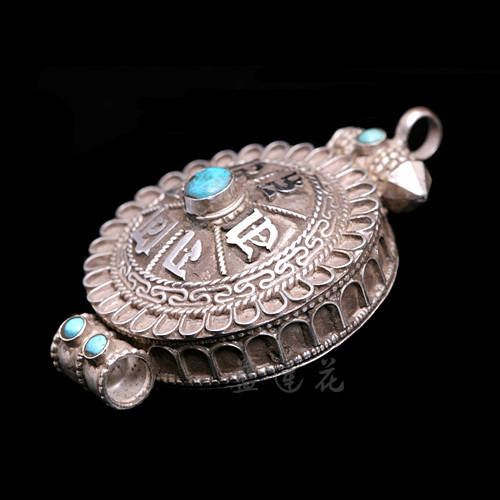 Most Ghau pendants are usually created from sterling silver, but you'll find pieces in pure silver, bronze and gold. 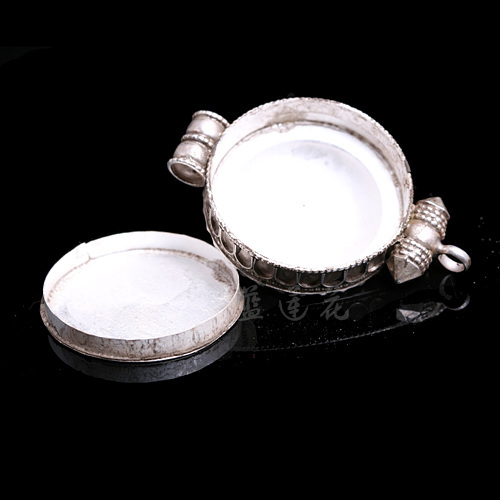 Some pieces feature more than one type of metal.